For a foreign job seeker, it is not easy to start job hunting in the Dominican Republic, especially if still don’t have a work permit for this country. But, don’t worry, if you are well qualified and have required skills or good work experience, you stand a great chance of finding a job in the Dominican Republic, especially in some specific sectors with local labor shortages. Keep in mind that if you are not fluent in Spanish, your options in Dominican Republic are limited to job openings in the leisure and tourism industry, in IT sector, or for an international company, where English is a business language. There are many job opportunities in the following sectors in Dominican Republic: tourism, tobacco production, trade, agriculture, fishing, mining, textiles, food production, metal refining, education and finance. Most people working in the Dominican Republic, especially foreign workers, are employed in the tourism industry because it’s the major driving force behind the country’s economy. Expats in Dominican Republic have the best chances to get a job in this sector. Dominican Republic is famous as a tourist hotspot and attracts large number of visitors from different parts of the world, so there is a constant demand for local labor and foreign professionals to fill job openings in businesses such as tourist resorts, hotels, restaurants, bars, and local travel agencies. Other job opportunities for expats in Dominican Republic mainly exist in agriculture sector, IT industry, trade and export, construction sector and education. The largest employers in Dominican Republic include companies within transport, hospitality, leisure and tourism industry (such as airlines, resorts, hotels, restaurants, bars), agriculture, finance and insurance companies and mining companies. The notable employers in the Dominican Republic are: Alorica, Matasa (tobacco production), Banco Popular Dominicano, Teleperformance, Brugal & Cía., Air Century, Trilogy Dominicana (Viva), Stream Global Services, Claro República Dominicana, Xerox, Industrias Nacionales. A large proportion of local labor works in the unregulated informal sector, which includes everything from working as a handyman to hairstylist, working as a babysitter, or demonstrator (promoter). Informal sector employs a large number of low-skilled workers in the Dominican Republic. - Sales Representative in Dominican Republic sells products to businesses, organizations and government agencies in the Dominican Republic or abroad. 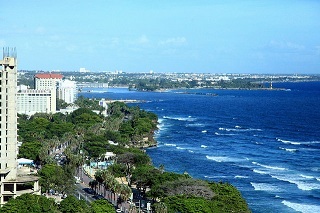 - Teacher in Dominican Republic – teaching (primarily English language) in public and private schools or universities. - Receptionist in Dominican Republic - usually works in hotels, manage reservations and deal with requests from hotel guests. - Translator in Dominican Republic – often works in an international company or in government agencies in the Dominican Republic; translates business, technical, legal and scientific written materials including reports, letters, books etc. - Lifeguard in Dominican Republic - perform beach rescues for water sports participants and provide emergency medical treatment on the beaches in the Dominican Republic. - Dentist in Dominican Republic – there is a high demand in private hospitals and medical centers in the Dominican Republic for medical workers. Medical jobs such as dentist, medical doctor, dermatologist, or surgeon are amongst the highest paid jobs in the Dominican Republic. There is a lack of local professionals for these jobs, so job opportunities in the healthcare sector are a great chance for foreign job seekers interested in moving and long term working in the Dominican Republic. Keep in mind that healthcare professions are regulated in the Dominican Republic, so you will need the right education certificate recognized by the Dominican Republic authorities, before getting a job in a healthcare sector. - Taxi driver, Truck driver, Bus driver in Dominican Republic – developing transportation sector in the Dominican Republic is in a constant demand for these professions. Online job boards and listings, recruitment agencies and local daily newspapers in the Dominican Republic are the most important resources for job seekers. Applying for a job in the Dominican Republic from abroad is ideal, but if you reside in the Dominican Republic, it’s a bit easier to search for a job and get a job. Many jobs in the Dominican Republic are filled informally through personal referrals. You can also use services for job seekers of local recruitment agencies. Recruitment agencies in the Dominican Republic provide employment assistance, help with finding a job, and planning career steps to job seekers, but also help small companies to find qualified employees, since they often lack the resources to establish their own personnel selection process. Job openings are often published in one of dozen national daily newspapers like Listín Diario, El Nacional, El Nuevo Diario, ElCaribe or Diario Libre. There are just a couple of specialized job search portals for job seekers in the Dominican Republic. If you are looking for a job vacancy in the Dominican Republic from abroad, you can use online resources – job portals and job search engines like BuscoJobs or CompuTrabajo, or use international job search engines, using terms like job titles, company names, required skills or different professions to generate local job listings. Dominican Republic is the country located in the island of Hispaniola. It is the second-largest island country in the Caribbean, spanning 48.315 square kilometers (18.655 sq mi) in area. The Dominican Republic has a population of 10.800.000. The official language is Spanish, but English is also used, especially as a business language in large international companies, so fluency in English and at least basic knowledge of Spanish will increase the chances of finding a job in the Dominican Republic. The official currency is the Peso, divided into 100 Centavos, and monthly salaries are paid in this currency both for citizens of the Dominican Republic and foreigners. 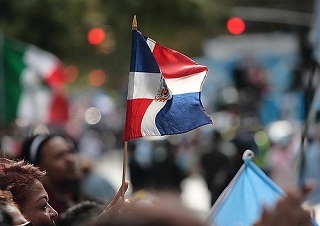 The Dominican Republic is one of the fastest-growing economies in the Americas. International migration affects this country greatly, as it receives large flows of migrants (mostly from Haiti) and sends large flows of migrants (mostly to the USA). The Dominican Republic has a high unemployment rate, but it is the largest economy in the Caribbean, so main sectors, like tourism, agriculture and trade, provide employment both for local labor and skilled foreign workers. 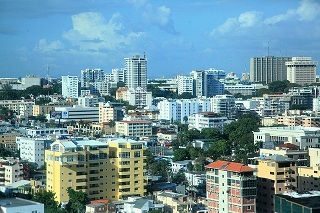 Foreign workers often reside and work in the major cities in Dominican Republic: Santo Domingo, Santiago, La Vega, San Cristóbal, and San Pedro de Macorís. Sometimes international tourists in the Dominican Republic are attracted by temporary job opportunities during the summer season. It is a way for them to extend their holiday and stay here for a month or two, to enjoy in stunning beaches, inspiring views, beautiful nature and rich culture of the Dominican Republic. Wages and salaries in the Dominican Republic are lower than in some other countries of the Caribbean and America, but enough to cover living expenses. Foreign workers in the Dominican Republic are usually recruited by companies and entrepreneurs in hospitality sector – resorts, hotels, restaurants, particularly those catering to international customers. A work week in the Dominican Republic for employees is Monday to Friday, although some employees might have few working hours on Saturday, rarely on a Sunday. Employees in the Dominican Republic typically work 40 hours per week. If you plan to reside and work in the Dominican Republic you have to obtain business visa for employment purposes, locally called Visa de Negocios con Fines Laborales. This type of visa is issued for a maximum time of one year and it can be renewed at the Department of Immigration in Dominican Republic as long as foreign national still have a valid work contract for private or public companies. It is required for applicants to get a work on fixed-term contract in order to get a business visa for employment purposes. With Visa de Negocios con Fines Laborales you can open a bank account or apply for a driver’s license in the Dominican Republic. To apply for a business visa for employment purposes in the Dominican Republic, you must submit following documents: passport, national identity document, criminal record certificate and a medical certificate from the applicant’s country of residence, visa application letter and Resolution of the Ministry of Labor of the Dominican Republic. Additional documents include filled visa form and picture of an applicant. All documents from the applicant’s country of residence must be notarized and translated into Spanish. Visa application letter must be provided by the company which hired you. Resolution of the Ministry of Labor is a document issued by the Labor Department in Dominican Republic and it legitimizes your employment contract with a local employer. It must include information about your position within the company, salary information and contract length.